As a percussionist, it is normal to get blisters and cracks in your skin as you develop. Once you have played for a while daily, your skin starts to get hard and makes it less prone to blisters and bleeding. 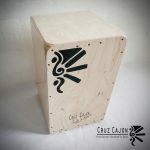 However, many cajon players don’t always play full time or daily and find it hard to maintain the hard skin that forms from playing. Well, I have some useful tips to share regarding this issue. I play everyday, sometimes a lot, sometimes not so much, but I play everyday if it’s possible. There are times that I break but I don’t do it often as I cannot stand it when the skin on my fingers get soft, causing me to lose a lot of my sound, not just in volume but the actual attack and crisp quality of the sound changes. I also increase the chances of getting blisters and pain in my fingers and hands when my skin gets sof, and I lose a lot of endurance because of this. Continuous playing for years is important to develop a thick layer of hard skin on your hands. If you look at a conga players diners, you will see the thick layer of skin that has for,ed due to hours of continues ‘slaps’. It is rather logical that the material that is used to strike a surface will determine what sound is made, For instance, a mullet does not have the same sound as a dum stick on any surface, mostly it is made of a softer material. So the same thing happens to your hands. You can hear when someone has hard skin, their attack is more precise and clean, and everything they play sounds crisp and clear. It is important to note thought that some people play a lot more aggressively than others and hence their skin will be harder than the other players. The best way to keep your skin hard is to play everyday for at least 30 min. and it’s not about hitting the cajon as hard as possible, your skin will get hard even if you practise very very softly daily. The worst enemy for hard skin is warm water. Thats why everyone takes hot baths, so they can scrub off the hard skin. Well, we want the oposite when it comes to our hands. So I have adopted a very peculiar yet practical habit from a fellow flamenco guitarist who has the same issue (yes, the guitarists have to keep their skin hard too.) I use Latex gloves everytime I intend to bring my hands in contact with warm water. This includes at time taking showers with latex glove when I am attempting to shower very close to performing or a rehearsal. I swim sometimes (part of another habit I picked up which is good not just for my general health, but also for building a strong back and shoulders, stretching out and being very flexible so as to increase my playing skills and to reduce any injuries that could very possibly happen due to the posture adapted when playing cajon.) It also helps my posture and strengthens my arms and fingers for playing, but this is an entirely different subject…. So, one simple step to maintianing hard skin is to use latex gloves whenever you wash dishes, whenever you shower, or wash the dog, or wash your car (if you wash it with hot water), or wash your baby, or whatever there is to do with your hands and hot water. Sometimes when you find you are playing so much everyday or long periods of times, your skin gets really hard and it eventually starts to crack… thats when you realise you need to use a moisturising hand cream to apply to your hands after a long session of playing. Conga players have this issue quite often. Not so much cajon players, though after a period of 3 weeks everyday street performance on a cajon with an amplified band, this can also be an issue. Our hands are used to touch almost anything we handle, so if you handle any products such as house cleaning products with acids, or products that are inteneded to remove dead skin, such as glycol (found in many skin products), once again, use protection and go for latex! 🙂 Happy slapping! Thanks , very helpful. I’m a guitarist so I know to keep hot water, lotion, ect. away from my pads. 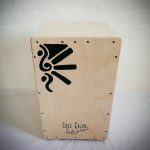 I have noticed a bit of swelling in my hands after playing cajon, its not a problem en less I have to jump back on guitar ( feels like I’m playing with someone else’s fingers!) Any thoughts? It goes back to normal in about an hour so it may be just part of it…Thanks! Hey Keith! 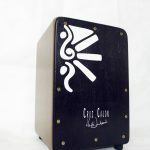 This is a very interesting qsubject, regarding playing guitar after playign cajon, it happens to me too, but nothing to the extent that it happens to a proper flamenco guiatrist, it is impossible to play right after playing cajon, I have no tips on this yet, but I will chew on it. For now all advice I can give is what you already know, don’t play cajon just before you intend to play guitar…. Very annoying I know coz they kinda go hand in hand! Very very true. Its important to take care of the hands. Keep it up with these great small helpfullll tips!